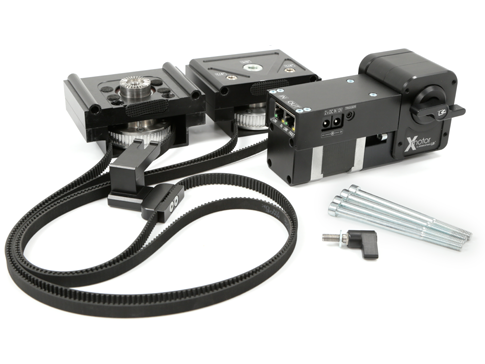 X MOTOR 40 drive for X SLIDER (also we putt the same motor for TRAVIGO SLIDER ) is perfect for both live action and stop motion shots. The right engine, with a precise mechanical gearbox result in a very versatile device. It allows not only a very fluid camera live action motion, but also works great for timelapse or stop-motion photography. It is very powerful and enables work with heavy professional cameras. Every movement can be programmed and repeated many times with the same precision. To avoid camera shake during shutter release, there is a shutter release cable in the set, compatible with the camera used for stop-motion or timelapse photography. The device works in a vertical position. It can handle cameras up to 7kg. To work vertically or diagonally, the set has to be extended by additional accesories, enabeling assambly in the desired position. 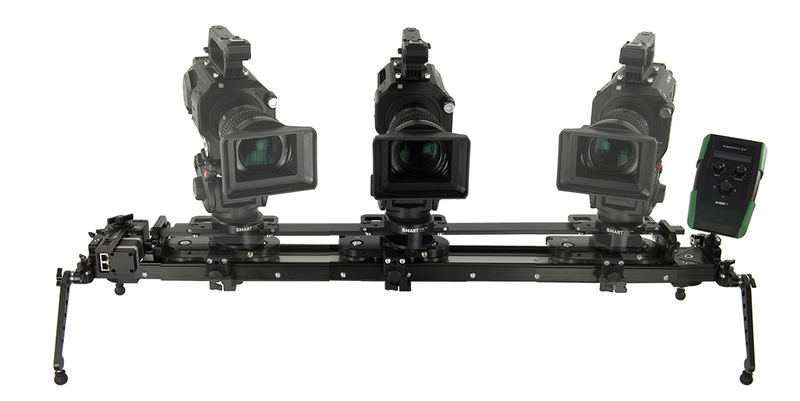 DUAL SUPPORT with two universal brackets for mounting the slider on every tripod. 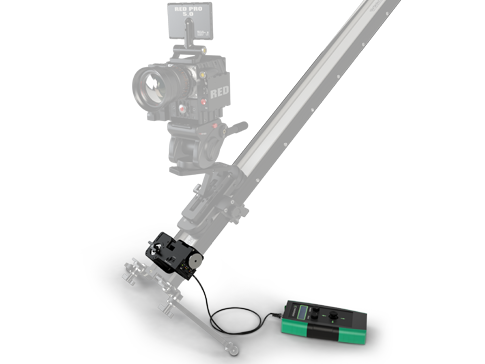 SMART EYE X SLIDER allows for automatic continuous tracking of the object by the camera/photocamera during the movement of the cart. 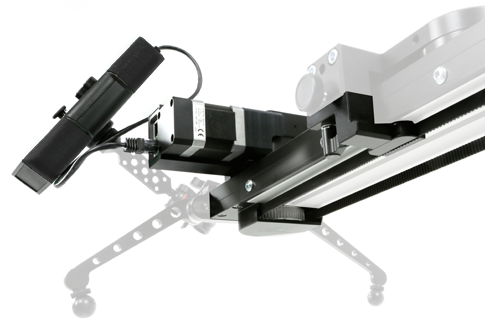 MONO HEAD fills the gap in the line of motion control products. 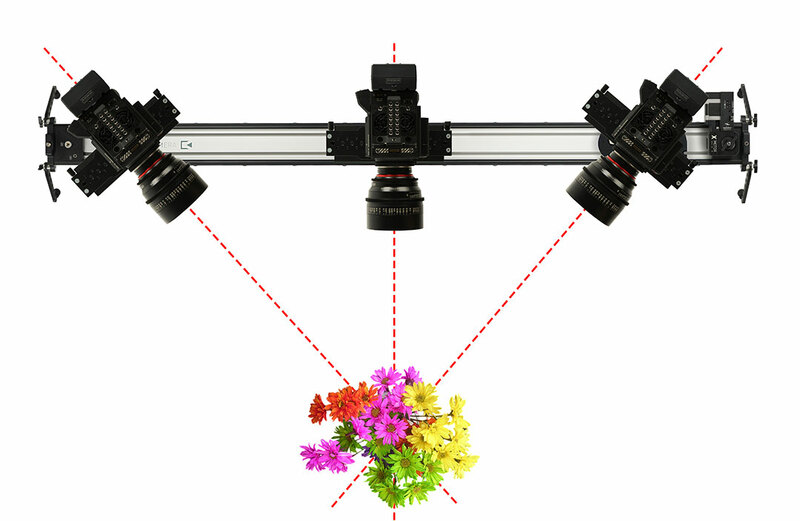 It is precise remote head for rotating the camera in one axis. MONO HEAD was designed to carry heavy, professional cameras. 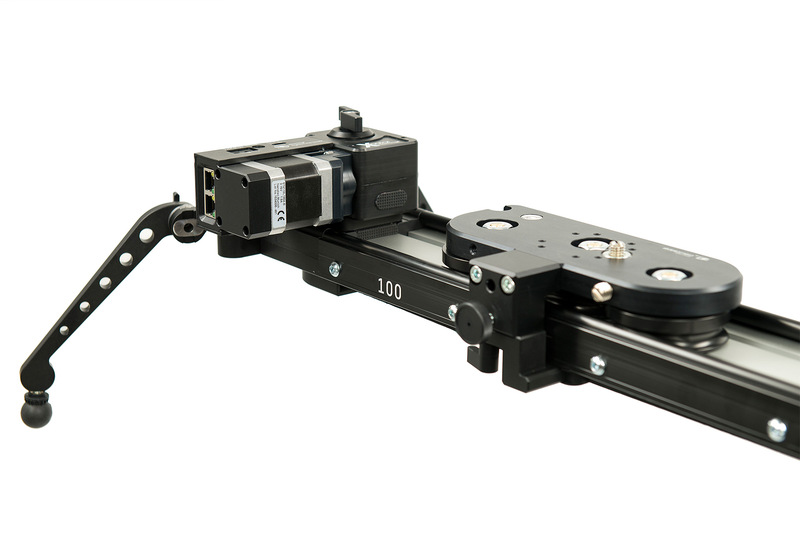 Rigid construction and precise drive make this device reliable and repeatable. MONO HEAD is perfect for every application, that requires precise movement: live action, timelapse, stop motion or VFX shots. SLIDELINK Wi-Fi Adapter and other accessories. NOTE: BP-U battery not included in the set. 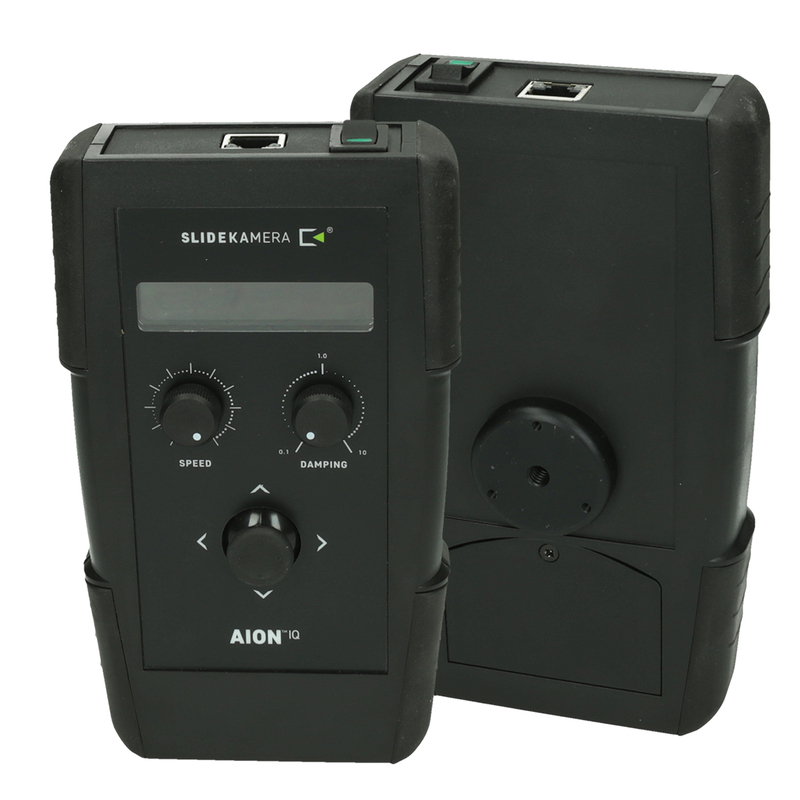 The AION IQ Controller has many extended programs. VIDEO for live action, ANIMATION for stop-motion photography and the very popular TIMELAPSE. The 1/4” socket in the base of the controller enables it to be mounted to the cart with a 8” or 11” VARIO ARM - Classic. Free Ride Mode - allows the user to control the speed of the slider using joystick and adjusting knobs. Recording Mode - records movements of the slider in order to play it back later in Playback mode. Playback Mode - plays back movements of the slider saved in Recording mode. Video Loop Mode - during VideoLoop mode slider automatically turns back and starts moving in the opposite direction once it reaches the end of movement range. ANIMATION: moves the camera on a programmed path during series of shots (drive can trigger the shutter by the cable connected to the camera). TIMELAPSE: designed for interval shots synchronized with a very slow movement of the cart. Controlling Slidekamera® devices has never been more comfortable. The Slideye™ PRO free app will help you manage our devices with easiness and precision. The X MOTOR 40 drive should be equiped with an additional SLIDELINK™ Wi-Fi Adapter, that enables wireless conection to the app on a Android tablets. 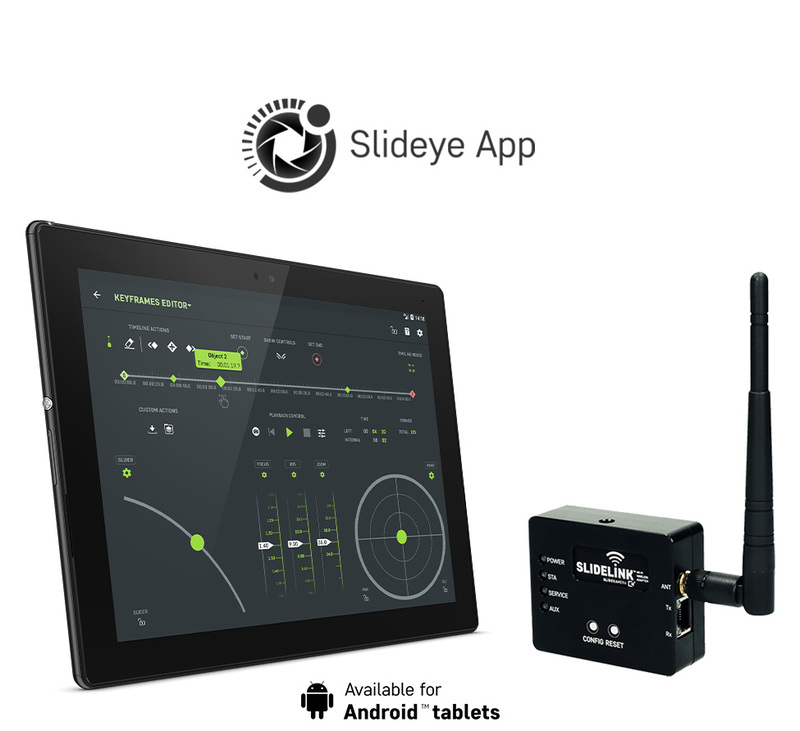 The SLIDELINK Wi-Fi Adapter enables the remote control of the devices of the Slidekamera system via the Slideye™ PRO application (available for Android tablets) and Slidekamera drivers, equipped with Wi-Fi connection. 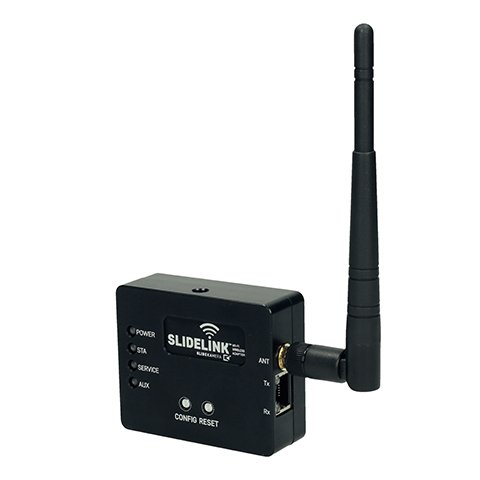 A single SLIDELINK Wi-Fi Adater is sufficient for controlling the whole system, regardless of the number of devices. In order to increase the freedom of movement of the system it is possible to use a bigger number of adapters. A set of drive heads consists of two drive heads, one head per side of the slider. The heads are equipped with power transmission elements and a toothed belt connecting the slider cart and the driving motor. The drive heads do not shorten the working range of the cart. First drive head is equipped with 1/4 " and 3/8" holes with hardened inserts for attaching accessories. 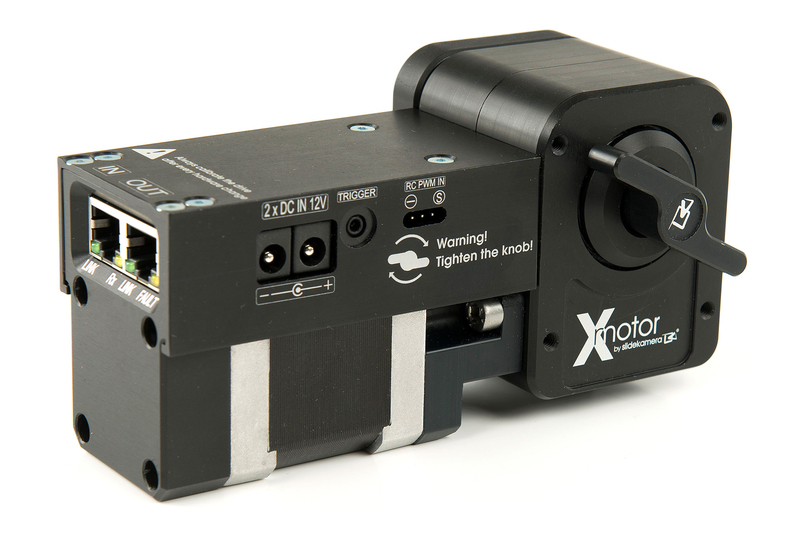 Second drive head is used for mounting X MOTOR 40 (motor + drive unit) using a hinge clamp. Single knob connection of the belt and the cart allows to easily disconnect the drive and move the cart manually.